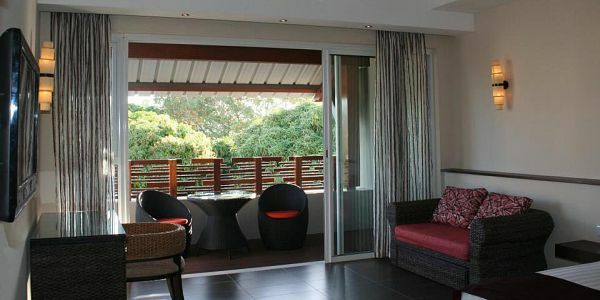 DodoLaLodge reveals a cozy charm resplendent in contemporary modern architecture in the north of Mauritius. 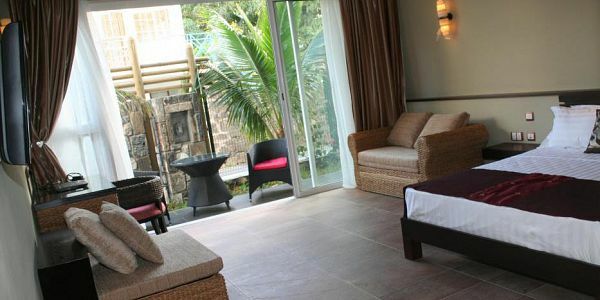 It is the perfect lodge to enjoy being comfortable! 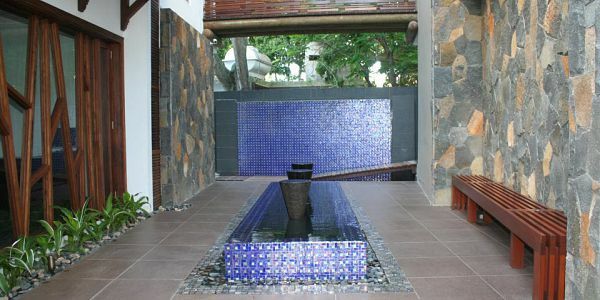 As it is located in a quiet side street, you can be sure to find peace and tranquility within a friendly atmosphere. 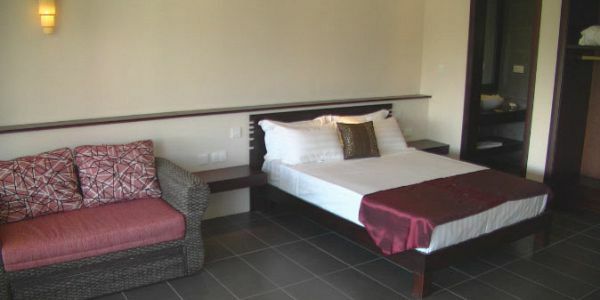 The lodge can adequately receive up to 42 persons (18 adults and 6 children); it comprises of 18 studio rooms (Type A and Type B) with bathrooms, has a small garden attached to it and is just right in front of a public restaurant and a few minutes away from the city center of Péreybère and the beach. Newly built in 2012, the lodge adds a modernist spin to your holidays. 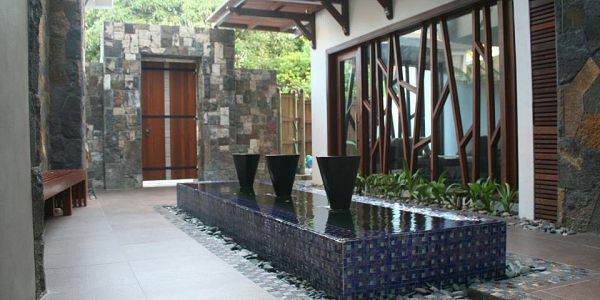 With its small shimmery marbles and glass doors finished with a wooden touch, it is a beauty to the eyes. The rooms are all shiny clean and well organized. 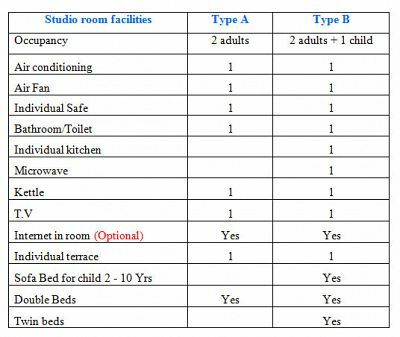 Type A and type B rooms usually accommodate 2 adults while 6 of the Type B rooms can accommodate up to 2 adults and 1 child (of less than 12 years old) as the latter are additionally equipped with sofa beds. The welcome is as charming and sweet as the place is. The staff is very friendly and they will help you to their level best. 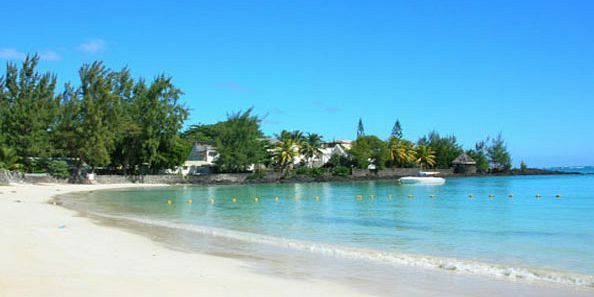 The bay of Péreybère offers the best swimming conditions all year-round. 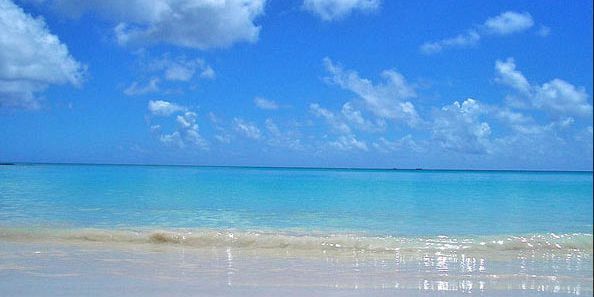 With its fine sand and crystal clear waters, the beach slopes gently into the shallow waters, thus making it ideally safe for children. 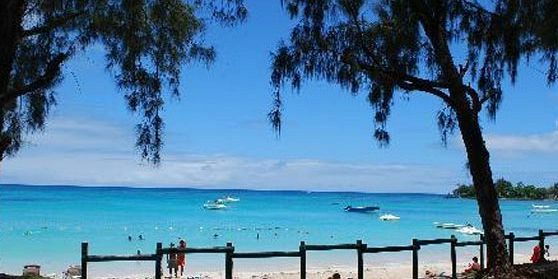 The lively beach of Péreybère is a popular destination amongst holiday makers, contrasting with the quietness of the DodoLaLodge vicinity. Restaurants serving international cuisines, cafes, bars, shops, supermarkets, and bus and taxi stations can be found in the vicinity. 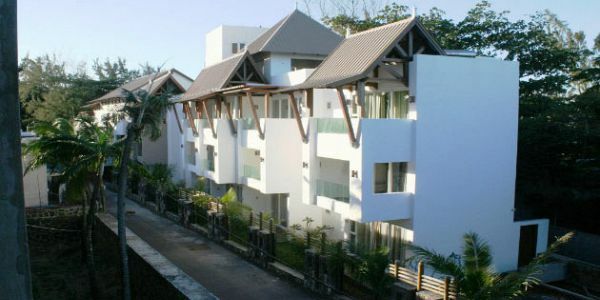 Besides, its proximity to Grand Baie makes DodoLaLodge an excellent location if you are looking to delight in the exciting nightlife of Mauritius but do not wish to stay in the middle of the hustle and bustle. Grand Bay: 3 minutes drive. There are many possibilities for recreational facilities in Grand Bay, including bars and clubs with live music. 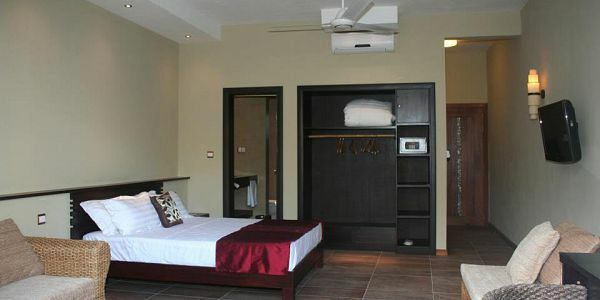 The size of the studios varies between 27 and 40 square meters. Much emphasis is placed on cleanliness. Type B rooms have a small kitchenette with a microwave and a kettle, and a minibar. 24/7 security is ensured. Safety cameras are installed all around the complex. An individual terrace with a set of table and chairs. 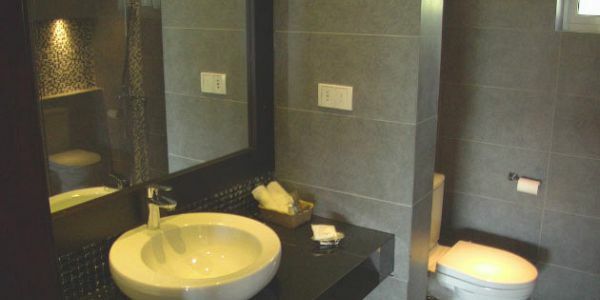 A modern bathroom with toilet and a large shower. A hair dryer and towels (not beach towels) are provided for use in-room only. Beach towels can be rented for a small fee. 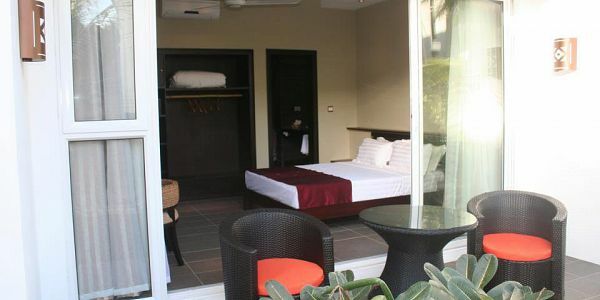 A fee is applicable if there is the need for an additional bed or baby cot in room. DodoFun attached to the complex. A kitchen, free of charge, is at the guests’ disposal for their cooking purposes. It is equipped with a fridge, a cooking gas and a microwave. An ironing room is available for all the guests. Coming soon: bicycle and small gyms. Rooms only: Type A/ Type B. Half board for meal (drinks not included). Note: Vegetarian meals can be catered for upon request.